Why does his heart feel so bad? 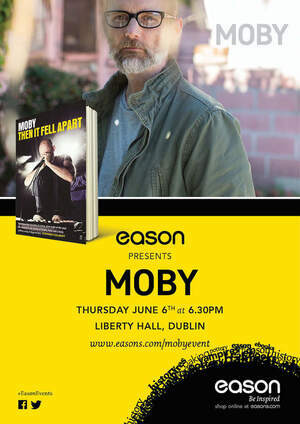 Eason presents: Moby, music legend and activist, in conversation with Tony Clayton Lea, will be taking place in the Liberty Hall Theatre on June 6. Moby will be talking about his illustrious career to date and the latest instalment of his autobiography ‘Then It Fell Apart’. Their conversation, including an audience Q&A, will include Moby performing an acoustic song or two and a book signing with fans. Posted in Misc and tagged moby, Tony Clayton-Lea at 10:28 am on April 16, 2019 by Bodger. Can’t hear you. Singing catchy tune about similar-looking baldy guys. And they’re all plated by John Simm. There’s some other guy too, who looks like John Simm. Let me googlerise and find him. Entirely unnecessary but now I’ve the bit between my teeth. WHAT did I see him in? Dammit. I’ve had to give up. I can’t remember what I saw him in. It’s REALLY annoying me, though. I can see him, all curled up like Gollum in some tv series but I cannot, for the life of me, give it any other context. Can he really be termed a legend? Dermot O’Nearly as Popbitch liked to refer to the X Factor host…. Popbitch! A friend gave me a book they produced for my birthday one year. Is it still going? All artists lose credibility when they work with Madonna. 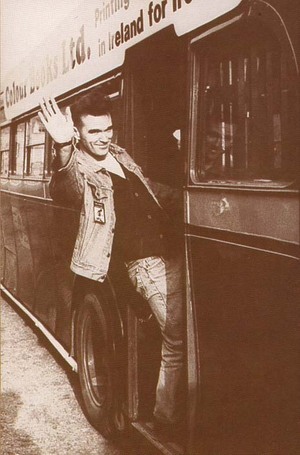 I remember the first time I heard John Peel playing Moby’s thousand on a little transistor radio. I was stunned. Sorry, another fake hero for the bin. I must admit that one of the reasons I love watching the Bourne films is to turn it up for the credits, when Strange Ways (Then it Fell Apart) comes on :) Cracking tune! I remember going to see Moby and Carl Cox in the SFX in 1993. Those were the days. I went to see some band in the SFX and can’t remember who it was. I also can’t remember who I went with. I know, I know. Awesome story, dude. It definitely wasn’t Moby and Carl Cox, though. “It definitely wasn’t Moby and Carl Cox, though” you seem reasonably confident in this? Why? I can remember all the bands I have seen, pretty much. Just not when and where. I was a pretty prolific concert-attender. Also a total pisshead. Not a great mix. Well, a fantastic mix at the time. I was 14 years old. I will never forget those years. Considering your opinion and writing style I would have put your age at 19.. I was there too, twas an amazing weekend.